Home > News - May 2016 > Indian Real Estate: How Long Does A Modern Concrete Building Last..? 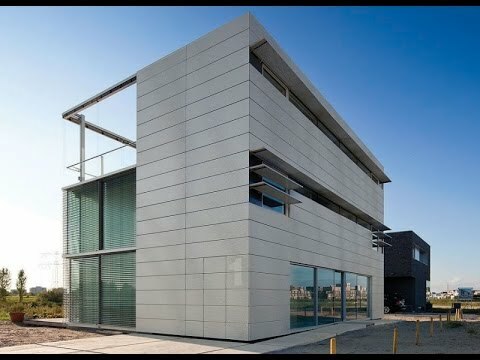 Indian Real Estate: How Long Does A Modern Concrete Building Last..? Needless to say, the world is gradually becoming one big concrete jungle. Innumerable concrete buildings are being constructed for residential as well as commercial purposes globally. Given that people pay a lot of money for them, a natural question to ask is how long these concrete structures or buildings will last. Building materials play a big role in deciding the longevity of a concrete structure. There have been instances where concrete buildings not more than 20 to 30 years old have collapsed. However, there are cases where concrete buildings that were constructed 100-150 years back are still going strong without any kinds of damage or problems. Unfortunately, the fact that housing projects are being mass-produced today has resulted in countless buildings being constructed with inferior quality materials. Since all concrete buildings look the same to the untrained eye, it is very difficult to ascertain how long any one will last without needing serious structural repairs. While some buildings will last for more than 50 to 60 years without problems, some will start developing problems after few years of construction. The designs used in concrete buildings also play a part in how long they will last. If we examine some old structures, it becomes apparent that they have thick columns, beams & slabs that provide superior support to the building. In many of today’s concrete buildings being raised by developers who are more concerned with cost-cutting than delivering quality products, the slabs that are used are merely few inches thick. Other than building materials and design, the longevity of a concrete building is also decided by the foundation. In concrete buildings that have lasted for 100 years or more, the foundation is deep and strong, set in ground soil that had been tested and confirmed for its ability to support heavy structures If the soil in a particular site is not strong enough, the foundation needs to go deeper so as to provide adequate anchorage and support. Assuming that the developer has used a good building design by a qualified architect, that he has used good quality cement and steel, and that the foundation is adequate for the type of soil in the plot, a multi-storey apartment building will provide problem-free service for anything between 70 to 80 years or even longer. Within this period, regular maintenance of the building’s structure will need to be carried out, which a responsible developer who considers himself accountable for his products will undertake as a matter of course. A badly constructed building which falls into neglect after all the units are sold may not last for more than 35 to 40 years before developing serious faults, along with all related dangers to the occupants.